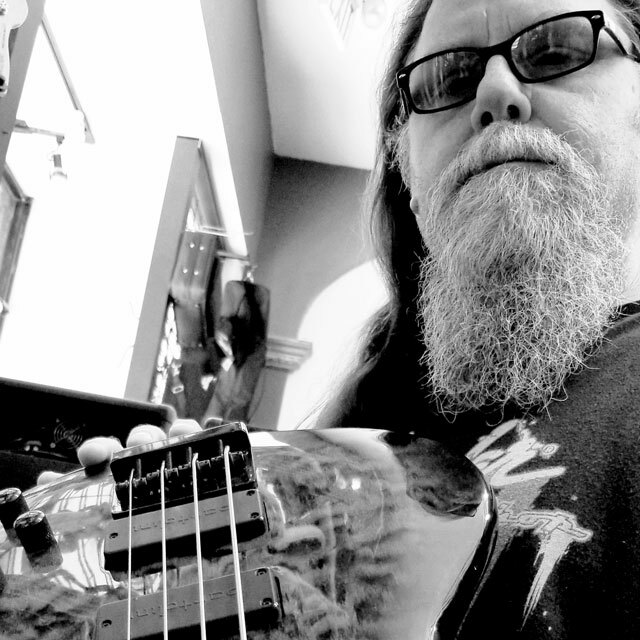 "Bartolini pickups and electronics are absolutely the best! I love my bass guitars that have them and look forward to upgrading the rest"
Loren Scott was born in Pasco Washington. Music is in his genes – his father was a professional musician that played with big bands and worked in sales with many music organizations. His mom was an accomplished piano player and a teacher. Needless to say music was encouraged at a very young age in the household. It came naturally to Loren but never taken for granted. He has been playing bass guitar since the young age of 12. He also plays a little guitar, does back up vocals on recordings and writes music and prefers to play all original songs in his bands. Over the years he has played in many bands from Punk Rock to Southern Rock, Blues and Thrash Metal. Loren has recorded multiple albums with bands, Dominion Fiend, Hexmen, Jack Death, Purefire, Voyslis, and others. He has also supported many national touring acts. Machine Head, Death Angel, Flotsam and Jetsam, Violence, and Forbidden A big fan of music he has many influences Geezer Butler, Geddy Lee, Les Claypool, Mike Dean, Victor Wooten, the list goes on and on. He has been rocking it for over three decades and still at it more serious than ever. One of the bands he has been involved with since 1993, Unprovoked, is preparing to release a full length album. Unprovoked is an old school thrash metal band and is currently playing shows locally and touring twice a year. Loren is always looking for the right musicians to play with and enjoy it at the same time. Here is a fun fact: “Once I had Blues Hall of Famer Jonny Heartsman sit in with my Southern rock band. That was very cool. He stood the hair straight up on the back of my neck playing his flute.” The power of music!